Buck Rogers in the 25th Century TSR, Inc. 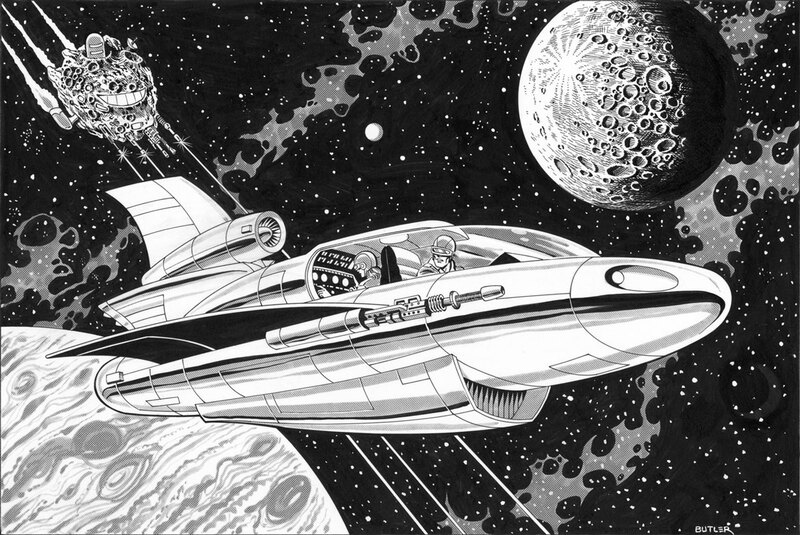 I honestly can’t remember why I did this piece, but I suspect it was done when we were revamping Buck Rogers at TSR. I have to laugh because both the spaceship and the asteroid-ship look like smiling cartoon characters!